Colin Kaepernick, the African-American quarterback with the National Football League’s San Francisco 49ers, has arguably been the number one story intertwining sports and politics since late August. His sitting down, followed by taking a knee to protest the playing of the national anthem before NFL games, has helped to elevate mass consciousness on the systematic racism in the capitalist system, especially police violence heaped upon Black and Brown people. His courageous act of kneeling, week after week, has encouraged others, especially Black and Brown youth, many of them athletes in all kinds of sports, to also protest police brutality and other forms of racist violence. Kaepernick sponsored a “Know Your Rights” conference in Oakland, Calif., on Sept. 29 for at least 100 Black and Brown youth. 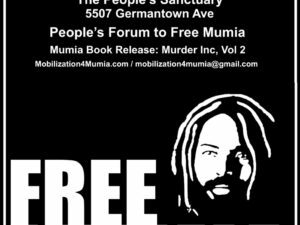 They discussed and issued a 10-point program, modeled on the Black Panther Party program, to help empower youth, including knowing their legal rights when confronted by police. 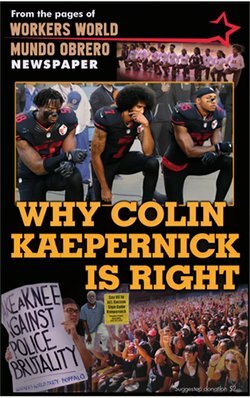 While Kaepernick has gained millions of admirers, he has also been viciously attacked by neoliberals and right-wingers of every stripe for the form and content of protest he has taken. Some have even stated that the protest has gone on too long and that he should cease, which he has refused to do. And now the vitriolic nature of attacks against Kaepernick has reached an even higher crescendo over recent remarks he made about former Cuban President Fidel Castro before and after his death. 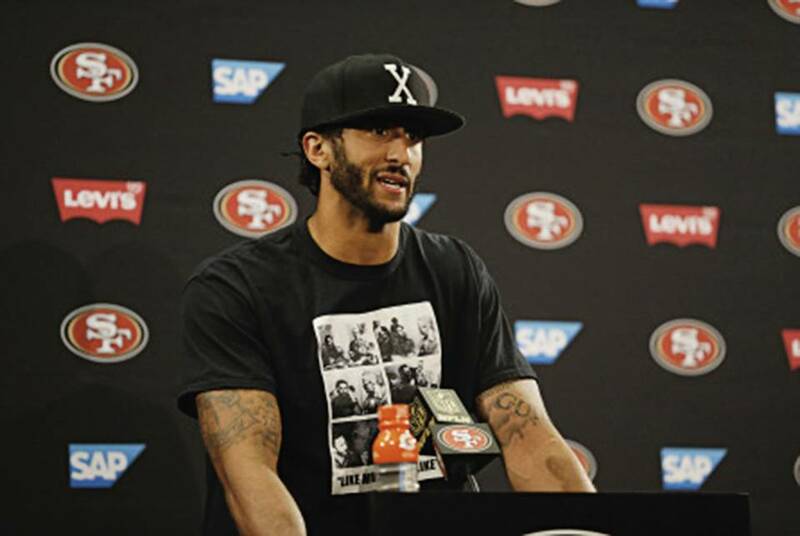 In response to a shirt that Kaepernick wore in early September showing a meeting of Fidel Castro and Malcolm X in Harlem in 1960, a Cuban-American reporter with the Miami Herald, Armando Salguero, asked Kaepernick during a Nov. 23 press conference before the 49ers played the Miami Dolphins why he wore the shirt. Kaepernick first responded that Malcolm X is a hero of his and he supported his ideology. When Salguero stridently asked him why wear a shirt with Fidel, Kaepernick stated calmly that Malcolm was always a person open to new ideas, one of the traits he admired most about him. 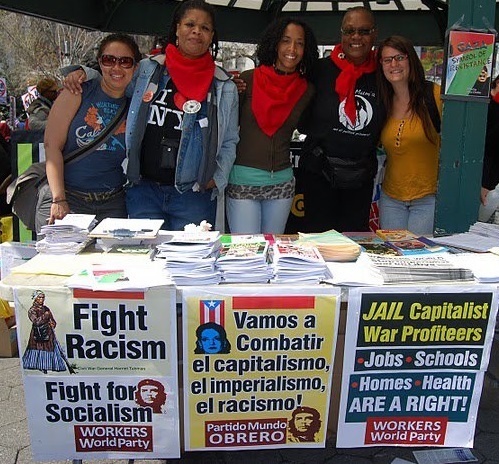 He also stated that “Castro did help create a highest literacy rate because [Cuba invests] more in their educational system than they do in their prison system, which we do not do here [United States] even though we’re fully capable of doing that.” When Salguero went on to say that Castro “divided Cuban families,” Kaepernick retorted that mass incarceration in the U.S. divides families. Did Kaepernick utter the words “socialism” or “revolution” to praise Fidel Castro? No, and it didn’t matter because even the mildest of positive or negative comments about Fidel Castro did not stop the most contemptible, outrageous attacks on a professional football player who has dared to take on white supremacy in his own unique way. 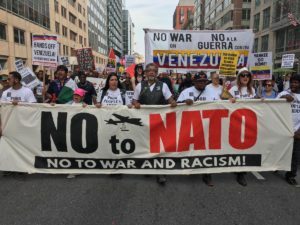 It proves again that a high-profile athlete like Kaepernick has the influence to help bring about more awareness by connecting institutionalized racism at home to U.S. foreign policy abroad, which is a threat to the political stability of the capitalist class and its apologists. Michael Smith, a co-host of ESPN’s “His and Hers,” stated on Nov. 28 that any attacks on Kaepernick’s remarks on Fidel Castro should not be used to distract attention from his main message — fighting police brutality.